Gematry is the science behind of counting numerical values of letters and words. Bible is loaded with different parables and some of them, indeed, include also numerical messages. 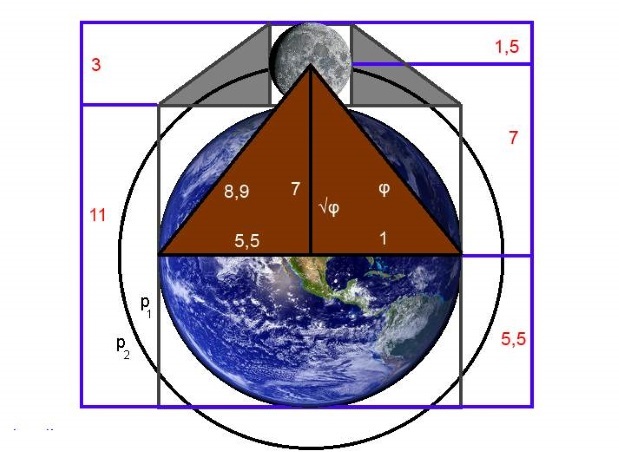 Gematry is the way of understanding these symbolic messages. Total = 20 + 1 + 30 + 5 + 10 + 600 = 666. Why “like God” is the Beast? The short answer is: because of the selfish will of a man. Whenever a man considers him-/herself as God, he/she becomes “like God”. This kind of thinking leads to the arrogance, and soon this person consider him-/herself to be better than others, in any form. He/she is no more part of Humanity, but better than them. This is the true Beast of Revelation – the selfish man. His/her number is 666, that of the Beast. It is so much easier to consider yourself as adventurer, hero, divine and even the world’s savior, and thus only in the end of the way of truth, a person discovers the actual whereabouts of the Beast, the False Prophet and the Satan. They are all revealed from one’s own heart and soul. The Beast is the unconscious ruler of the emotional level, and correspondingly the False Prophet rules the reason. Satan holds the human heart itself, which is in the beginning the will of a man, and eventually, the whole person. The hidden lesson of Revelation is that when a person is purified in the levels of emotion and reason, and after that his/her own personal will doesn't want anything anymore, but has surrendered to the God's will - then this person is transfigured and enlightened. Totuudentalo, Iisakki (2016). Theory of Everything and Nothing. (only Finnish edition is published) BoD, 2016. Finland, Germany. Here is presented the true origin of word Kabbalah. 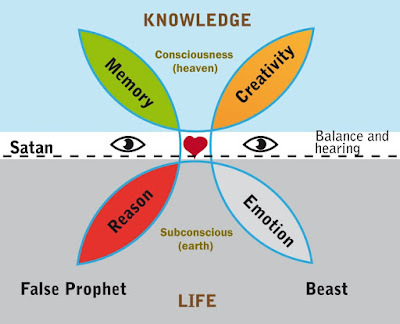 Thus KA+BA+LAH actually refer to the mental journey and evolution of Soul. This journey has two extremes - the Knowledge and the Life. Tree of Knowledge is the Abyss of the Primeval Water, and thus it is the non-existing, dark ether, eternal and infinite part of “God”. The extreme of Knowledge is, of course, the Life and the Tree of Life – the existing, always moving, light part of “God” that has the beginning and the end. 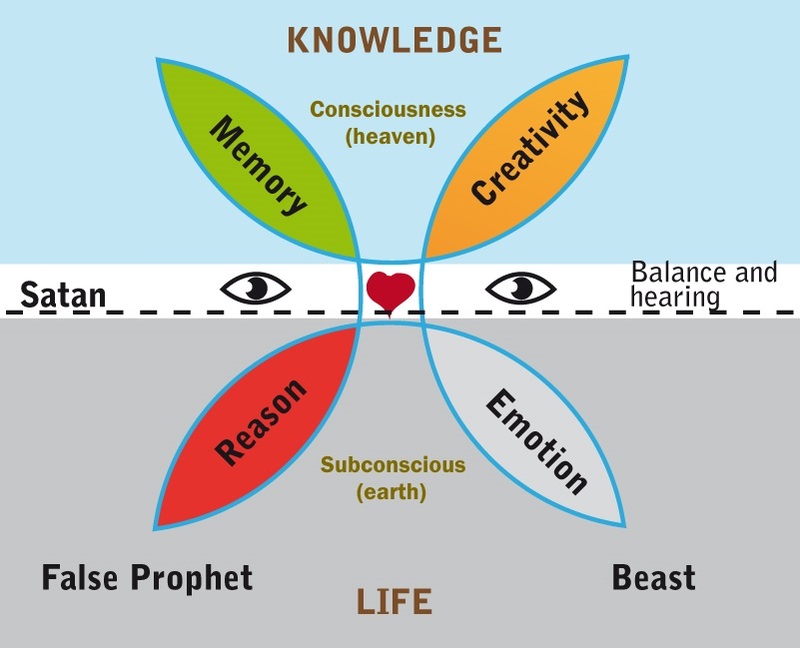 Only our Higher Self (Soul) can get familiar with both of these two horizons of God. That is why we humans have the absolute potential of being the living images of God. 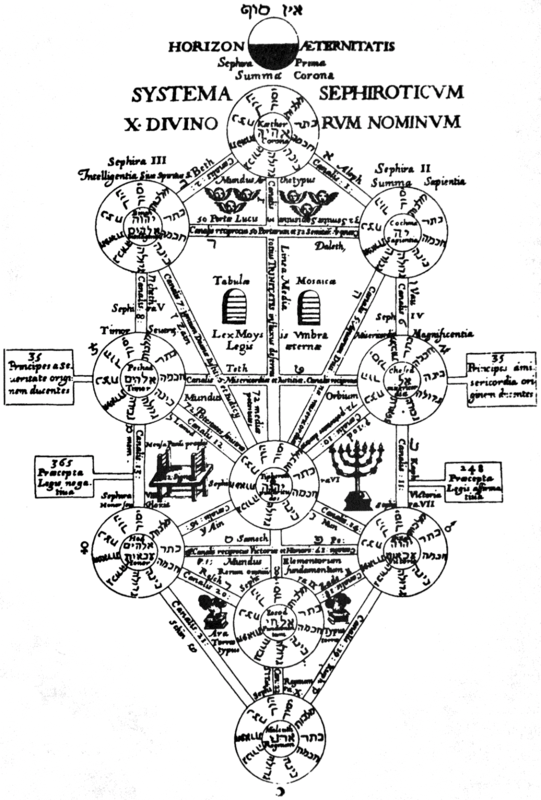 - Image: The Tree of Life, an engraving by Athanasius Kircher, published in his Œdipus Ægyptiacus in 1652. 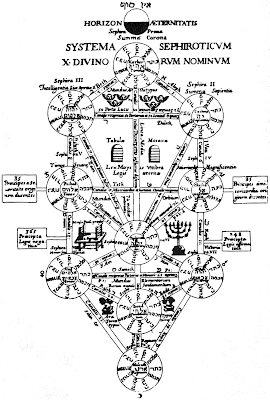 The basic structure of sephirot and links has since become the most common variant of the Tree used in Hermetic Qabalah. The details in this illustration include the Law of Moses, the 248 positive commandments and 365 negative commandments of Maimonides (associated with the principles of misericordia and severitas respectively), etc. In this video lesson, we learn why the Great Pyramid of Giza is the mathematical master piece. Not even to mention the rest of the pyramid, already the King’s Chamber hides the story of two probably the most famous and remarkable mathematical numbers. These numbers are Golden Ratio (Φ) and Pi (π). Enjoy the beautiful art of Mathematics and Geometry. 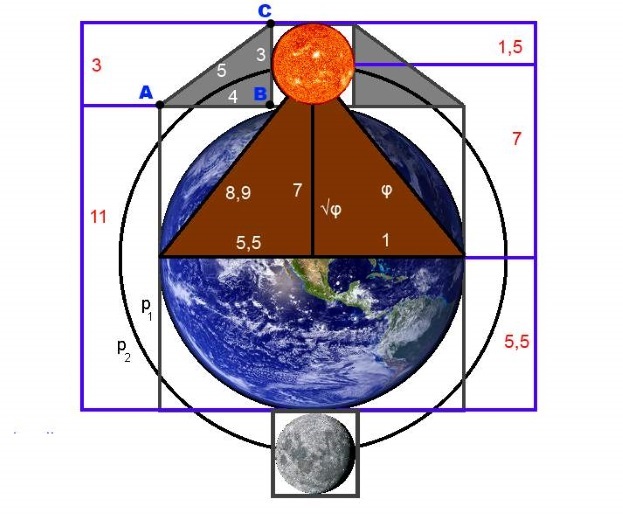 Also the following facts are found in the elements of the Great Pyramid of Giza. 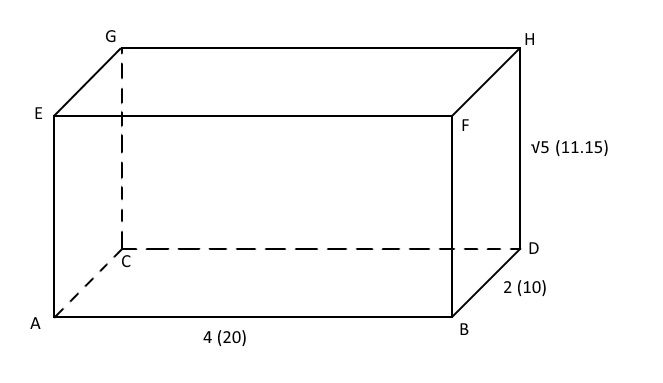 1) Two times its base length compared with its height forms a great approximation of number π: 22/7 (Theorems 2 and 4), 2) It forms the golden ratio with Kepler Triangle with all of its sides (Theorem 5 and Image 38), 3) In the King’s Chamber the fact holds that any non-negative integer divisible by 3 can be divided into the legs of right triangle (Key-triangle) with ratio 1 : 2, and when comparing the sum of the shorter leg and the hypotenuse against the longer leg, the result is always the golden ratio (Theorem A and Lemma a), 4) The height of the King’s Chamber forms a great approximation of number √5 (Table 2 and Image 5), and 5) The Pyramid itself matches perfectly with the dimension of the Earth, the Moon and the Sun (Theorem 6 and Image 39). Modern-day science argues that all of these statements are simply a coincidence and not deliberate. Can we afford this kind of narrow thinking?